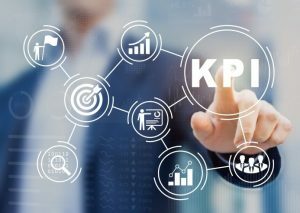 I spend lots of time talking to B2B marketing and sales executives and very few have a great handle on how they are doing on their key performance indicators (KPIs). It’s like Goldilocks: Some are measuring too little, some are measuring too much, and some are measuring just the right amount but not using the data effectively. A minority are not only collecting the right data but also using it to gain competitive advantage. You’ve heard it over and over: You can’t improve what you don’t measure. That sounds great in theory but in a world that now has over 5,000 Martech tools, it is now possible to measure almost anything. But this abundance of technology has actually made it more difficult to figure out what to measure and how to report (and act!) on results. And despite the massive amounts of technology thrown at measuring marketing and sales performance, a large segment of B2B companies are no more effective or efficient than they were a decade or two ago. This is evidenced by the fact that many B2B marketing and sales executives can’t answer fundamental questions about their performance. There are hundreds of potential items you can measure but the following 13 metrics are an excellent starting point. We’ve had great success in utilizing this combination in providing a comprehensive – but not overwhelming – view of marketing and revenue performance for B2B companies that have lead-qualification steps. However, a B2C or ecommerce company would customize as necessary. What is the current health of your brand? While you might think of this as a touchy-feely type question that can’t be quantified, my company has developed a Brand Health Scorecard that will quickly give you a sense of where you are versus the competition. How many sales leads do you need to hit your revenue targets? I’ve asked dozens of CEOs, CMOs and CSOs this question, and a majority either can’t answer or respond with something like “lots”. Of course we all want lots of sales leads but this ambiguity doesn’t help you build an effective marketing plan. Here is a way to calculate how many leads you need. What is your cost to acquire a new customer? We refer to this figure as Customer Acquisition Cost (CaC) and it can be calculated as a marketing program cost only, or as a dollar amount or percentage of the total marketing and sales expense burden as a percentage of revenue. What is your conversion rate of inquiries to marketing qualified leads (MQLs) or sales qualified leads (SQLs)? Knowing this number is crucial because it tells you two important things: the quality of the inbound inquiries and the efficiency of your lead qualification process (and yes you should have such a process in place!). What is your opportunity close rate? You’ve done a great job at generating and qualifying inquiries – now you need to understand how efficient you are at closing business. This will also show you how much pipeline coverage you require to hit your revenue targets. This is a key measurement that should show improvement over time. An increase in average deal size alone will boost revenue performance even if none of the other indicators improve. What is the average Lifetime Value (LTV) of each customer? Multiple the average deal size by the average number of times each customer/client will buy over the course of the relationship. For example, if the average customer pays $1,000 and buys three times, the LTV is $3,500. How long is your average sales cycle? This is computed as the average amount of time taken from a customer’s first engagement until the close of the deal. Again, I am surprised by how many B2B marketing and sales executives are not aware of this number. What are the marketing media and tactics that produce the leads most likely to convert? Media and campaign effectiveness metrics should be built into every campaign to ensure that you spend future budget dollars wisely. What are people looking at, and what actions are they taking, when they visit your website? You really need to know a few basics: the number of unique visitors monthly, the amount of time visitors spend on your site, the pages they visit most often, and the engagement rate: how many visitors register, buy or download something. This last statistic is extremely important because some websites attract a lot of traffic but because the content is not relevant to visitors, they convert very few. The gold standard in customer satisfaction measurement is the Net Promoter Score (NPS) Survey, that bases the NPS number by using the answer to a key survey question, on a 0-10 scale: How likely is it that you would recommend [brand] to a friend or colleague? How successful are you at retaining customers? This is a key metric that shows you whether to spend your marketing dollars on attracting new clients or keeping existing clients. There are lots of ways to measure this but it simply refers to the percentage of a given pool of customers at the start of a period who are still with you at the end of that period. For example, if you start with 100 customers on January 1 and you still have 85 of them on December 31; your retention rate is 85 percent. You can also view this from the other side. Using the same numbers, you have a churn (attrition) rate of 15 percent. You care about this because It usually costs five to ten times as much to acquire a new customer than it does to retain a current customer. How much revenue is initiated by marketing? Most B2B companies generate some revenue from non-marketing initiated sources (e.g. upsell, services, existing contracts). The remainder is Marketing Contributed Revenue, and this is the number you need to use for market planning, budgeting, etc. As an example of how the lack of measurement can hurt: at the first planning meeting with a new client, the chief sales officer (CSO) proudly boasted that his crack sales team was closing 50 percent of their opportunities. However, when we analyzed the past data, the closing conversion ratio was actually closer to 25 percent. Had we accepted the anecdotal estimate instead of hard data, this one discrepancy would have made the entire lead-to-revenue (L2R) model unachievable. We’ve discussed 13 important marketing and sales metrics. Here are a few guidelines to ensure these metrics are used to boost revenue. Focusing on what matters (quality) is way more important than measuring everything (quantity). Notwithstanding the 13 recommendations above, it is better to start with a few and scale over time, than to try to measure everything at once. Don’t measure anything that isn’t both important and actionable. The closer a metric is to revenue, the more seriously it will be taken by executives (e.g. cost per sale has higher status than cost per inquiry). Don’t spend more time measuring than doing. When it comes to sharing results, dashboards work much better than detailed reports. If your execs won’t read the report, don’t waste your time producing it. Knowing what not to measure can be as important as what to measure. In my early days in the software industry I worked for a VP/GM that insisted we measure the “contribution to revenue” of every single marketing expense. Yes, this included things like event sponsorship, press releases and analyst relations. Knowing even then that this violated several of the above rules for measurement, and not wishing to confront this senior executive, I took the easy way out and simply made data up. He was none the wiser and I could spend my time doing (and measuring) what really mattered.